Surveying Malaysia’s booming book market finds award-winning publishers, growing readership, a hot rights scene, & innovative digital projects. Kuala Lumpur will play host to “Southeast Asia’s largest rights fair for publishing industry” starting today, April 25, and running through the 28th. Rights trade is receiving an impetus in Malaysia due to the Kuala Lumpur Trade Copyright Centre, the annual copyrights trade fair for the ASEAN region. The TCC, held in conjunction with the Kuala Lumpur International Book Fair (April 27 – May 6), is in its fourth edition this year. The organizers have reported that 43 exhibitors have signed up to participate, representing an increase of more than 40% compared to last year. The participating exhibitors are from Malaysia, Singapore, Indonesia, the Philippines, China and Vietnam. “We hope that more publishers and agencies from outside ASEAN will look at TCC to trade their rights,” says Arief Hakim Sani Bin Rahmat, Honorary Secretary of the Malaysian Book Publishers Association (MABOPA). The aspiration to host rights trade activities for all of the ASEAN is complemented by Malaysia’s recent, aggressive efforts at promoting its book industry at international book fairs. The Malaysian collective stand, organized by National Book Council of Malaysia, has recently been attending the Frankfurt, Beijing and Bologna fairs, where the Book Council highlighted a selection of the country’s best books. The collective stand also made a debut at the just-concluded Abu Dhabi International Book Fair. 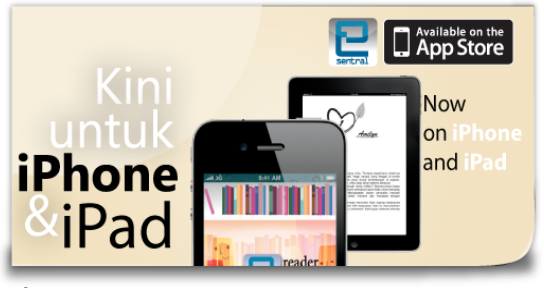 The publishing industry in Malaysia has been growing rapidly, with active support from its government. The number of publishers in the country is estimated to be at 500, with the industry being concentrated in Kuala Lumpur. A majority of them are small and privately owned, while the rest are government institutions, or government-aided institutions such as university presses and publishing departments. While in 2005, the number of titles published were about 10,000, by 2009, the figure was more than 16,000 (it was about 15,800 in 2010). With a literacy rate of 92% among a population of 28 million, the Malaysian government is committed under the Millennium Development Goal (MDG) to provide education for all by the year 2015. Education has received a significant outlay in the country’s annual budget (23 per cent in 2009). The National Book Policy, which was adopted in 1985, lays emphasis on producing books for education. Over 50% of all published books in Malaysia are educational books for school children. Paradoxically, 60% of the books for higher education are imported. The government’s incentives for promoting the reading habit have made an impact on domestic growth of book publishing. In a survey conducted by the country’s National Library, it was found that Malaysians read an average of 9–10 books per year. A similar survey held in 2005 revealed that Malaysians above the age of 10 read only two books a year, which was the same figure in 1995! Just like in most developing countries, Malaysia too has been affected by the lack of a strong tradition of authorship, reading and book ownership. The special attention given by the government to library development and translations seem to be paying off now. The popularity of books is perceptible in the country, where interest in fiction has risen dramatically in the last decade. “We are definitely seeing a trend in reading, which has moved beyond education-based reading, into a healthy general and leisure market,” says Arief Hakim Sani, who is also Managing Director of PTS Publications and Distributions, one of the largest publishers of Malay books in the country. Homegrown fiction in English is generating interest overseas thanks to visibility at recent international book fairs. Silverfish Books, which publishes Malaysian-English literature has received acclaim after their books were shortlisted for the Frank O’Connor Short Story Award and the Commonwealth Prize. MPH Group Publishing, a division of the famous MPH Bookstore chain, also has an impressive list of titles. Correspondingly, literary agencies are beginning to dot the scene. “Of the three literary agencies operating in the country, although all represent foreign publishers, the Yusof Gajah Lingard Literary Agency is the only one that represents authors,” says Linda Tan Lingard, Director of the agency. “ELT is a strong focus (for others).” According to Lingard, local publishers are increasingly aware of agents and are happy to use them especially for overseas markets. They are also setting up their own rights departments. One of Areca Books' latest, high-quality titles. “Especially, the Malay language is a hot market now, with more competition and more publishers entering this market,” says Arief Hakim Sani. “Fiction and religious books command the biggest market in Malay language, followed by children’s books.” “It is not uncommon for a bestselling title to sell 20,000 copies, while some Malay fiction or religious titles could even sell 50,000 or 100,000 copies,” says Lingard. There is also a niche market for Chinese books, says Khoo Salma, Publisher of Areca Books, publishing illustrated books in English from Penang. “This is a fast growing market. But, being a small country, the potential market for books in any language is very small,” she says. “But this could also mean there is a lot of scope for publishers as there are many important local topics for which books have not been published.” Four titles from Areca Books feature in the 50 Best Malaysian Titles for International Rights 2011 catalogue produced by the National Book Council. 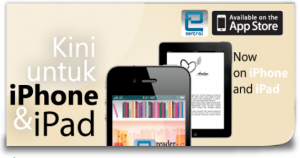 Islamic publishing is one of the key highlights of Malaysian book industry. Malaysia has close ties with the Arab world, both due to religion as well as through trade. Arabic books have been translated into Malay and have received tremendous response in Malaysia. The focus on translation, through the National Institute for Translation, has led to a growing demand and consumption of books in translation. Both Arief Hakim Sani and Lingard recommend that the potential areas of interest for international publishers would be in translations and reprint rights, and joint publications and co-editions with Malaysian publishers, especially for English titles. At the Trade Copyright Centre, cross-media trends will be in focus. Two presentations are to be held: one on the international success of a homegrown animated film (Upin and Ipin); and another on the adoption of an Indonesian novel (Laskar Pelangi), which became one of the highest-grossing films in Indonesia. The Malaysian Printers Association reports that the printing industry in Malaysia is probably one of the top five industries of the manufacturing sector. “There are ample prospects in Malaysia for international publishers to consider their printing needs,” says Bob Poh of Phoenix Press. The country offers benefits not only for quality, pricing and services, but even logistic advantages, he adds. No longer content with being famous as Asia’s popular tourist destination, Malaysia is evidently raring to emerge as a key book market in Southeast Asia, which the global industry should take note of. Vinutha Mallya is an independent publishing consultant, editor and journalist, based in Bangalore, India. Currently, she is a consulting editor to Mapin Publishing, a contributing editor to Publishing Perspectives, and visiting faculty for National Book Trust's publishing course. She is also an advisor to the annual Publishing Next conference.